After the announcement that Ana would move to a sub position for OG, fans were left wondering who would take his place on the TI8 winning team. 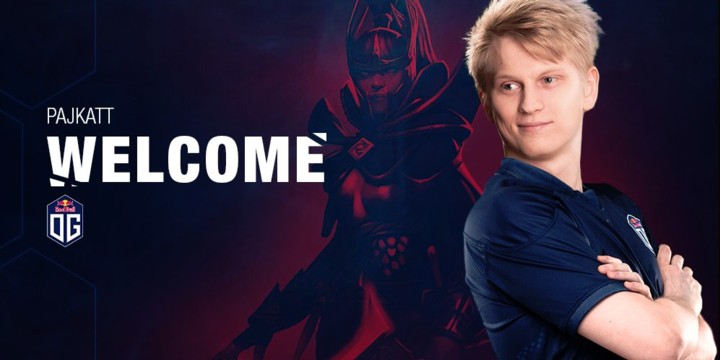 On the eve of their Chongqing Qualifiers (the first time we will have seen OG since their International run) they have announced the arrival of Pajkatt. Previously on a different OG (Optic Gaming), Pajkatt has a wealth of experience in the competitive scene. He has played for Alliance, Na'Vi, Mousesports, LGD International, and was on Online Kingdom during the very first International. He even holds the title as first rampage in a competitive Dota 2 match with his Sniper. He has joined the team at their bootcamp and is ready to show the community that he belongs on OG.